TLED? You mean TorchED? Cause that's already promised to come shortly after the game's release again. Isn't the answer to this listed under the general faq? Why do I do the things that I do? For the lulz little one..... for the lulz! It might be in general, I am not psycic, that was so many years ago, ****. As for my Subject, I have used that in other forums, and thought it would catch some agreeable attention. SirLOL also says there should be more player customization, yes I know it wont be arcade via the space, but so what. SirLOL also says there should be a weekly/monthly (or monthly random item not found in game, or a ubererd version) event where a new item can be won that is not exclusive to any political agenda. Like a lincolen beard with hat for his birthday. **** you can do that for years and never run out of holidays. SirLOL also says Native american Items would be neet. Since I am one, partly. SirLOL also says, well **** why not go big and have a litteral sand box room add on that the players can have 4 wheelers of sorts and customize, and race with power ups. SirLOL also says **** why not just go epic, and have an areana add on that players can fight each other. SirLOL also says Well **** lets go even epic-er...LOL have an achievment for getting the colloctors pack and have a "Fever" Item that when you play with a person who has the collectors ahievment, you get an achievment. "You might not be a collector, but you got the fever anyway"
SirLOL also says And for the finaly, Runic **** achievment and super exclusive content, for those who have the windows, pc and console versions and all dlc. SirLOL also says Overlord DLC... You are the OverLARD (game ref, LOL) get your fat butts, and your evil teddy bears (another game ref), to guarding your dungeon and taking over the town. pvp 1vs 1-3? on the consle. Fyi. Paws isn't a madam. She's a total PIMP. I think someone needs to take a few deep breaths and slow down some... I want to say troll but I think more or less a hyper-active Xbox owner based on his explosion in the XBLA forum... Maybe we should queue up some pony pictures just in case? Disclaimer: Above berating does not apply to those with a brain (usually). Well i appretiate that. Necroed, dont think so. I was trying to be thoughtfull. Some people may have been waiting for a whole month to hear that someone is listening, **** I know I do. If there is a post that hasnt been answerd in less than a week, SHAME ON YOU who knew about it. Second to that, I am near 40 and enjoyed the regular series, not like alot, but I seen it had potential, and so i was thinkinging of how awsome it would be if SOME of the players and dev team was half as energetic about games as me. I am a game collector dude and a writer. I also seem to have better ideas about sequals and dlc than most, people keep telling me. If microsoft took my ideas seriously and made dough on it, well **** whos to say Runic might also. I am a disabled vet and NOT greedy by nature. However some due cred would be nice. Seriously peeps, I think I have more games than gamestop, ibeit, older games but more games nonetheless. ah **** you got me flappin me ole gas lids again, ****. PEACE! "I seen". Now, I am not usually one to point out another person's grammatical errors, due to the fact that I'm not perfect, so who am I to judge? But I've seen this used by multiple members of the forums. Is this something that is common in other parts of the country, such as the south? It's really popular in older folks and in the south. "If a problem is too big to fix, one must break it into smaller problems." edit: nah forget it, you peeps dont care about the worlds strongest pony, or the quickest, the smartest, the biggest the oddest or any other fact about actual 'ponies' what a shame I just researched so interesting things to make a point, however it could be said, aint worth my time. 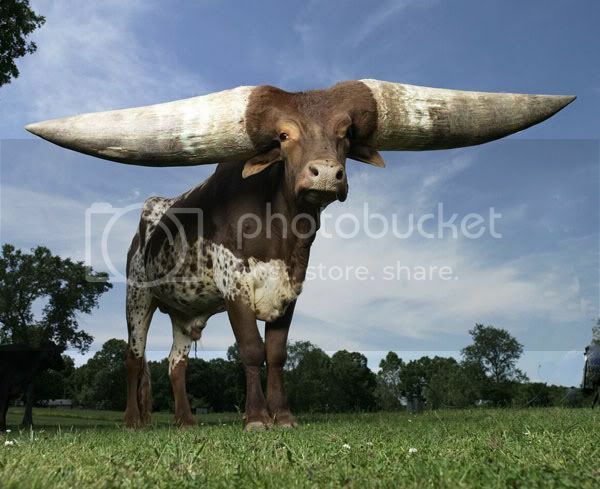 Instead, we all know the phrase "Mess with the bull and get the ...."
Were they meant to flam? Sure. 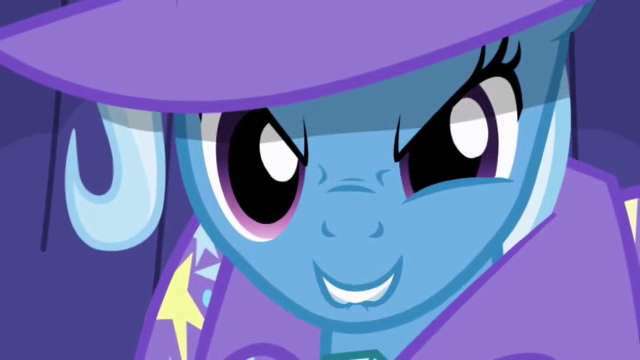 Don't take the My Little Pony:Friendship is Magic stuff as being mean spirited. It's just we try our best to follow the old adage 'If you can't say something nice, then don't say anything at all'-only that doesn't help keep an internet forum going very well, does it? So instead, we spam ponies. Why? Because we love ponies. It's like going up to someone who says something you disagree with and handing them the easter bunny, or giving them a real letter from Santa. Pwn is just slang. Considering one has to be fairly literate in order to understand exactly what words in english the words in leet speak stand for, I don't see where using a common slang term is an indicator of someones intelligence or literacy. As far as the ponies go..well, I would be interested. I adore horses, and used to work in a stable for a number of years. Sorry if we came off like **** or anything. Thanks Zids, now if you really want me to get on a deep subject, I can, and usually thrive there. It is a rare thing for me to find one like unto myself, not saying you are, its just a fact that I wish were not so. Slang: Yes it does prove more ignorance, in most occasions. Slang used to fit in? Fear of not fitting in with out it. Fear is based on the unknown, uncomfortable (incommunicable) or painful. People know that they are not ever going to fit in everywhere, fear less. People who know what people think about you because you choose to do better, means nothing, fear even less. People who listen to advice, consider and find a balance of wisdom and true to self, well, as a whole are quite fearless. I know from experience. Slang used because of laziness? Proves ignorance in most occasions, for habitual behaviors breed more of the same kind degrading the mind, character and soul of man even to his own perceptions are against him. I know from experience. Exceptions: When you MUST use slang to even hope to communicate clearly to the listener who is without proper literal education. Ponies: Strongest, you possably already know, Shetland. Fastest, quarter horse. blah etc not hard to look up some interesting points on any given thing. However I think the facts that people propergte is subject to perception and not PURE TRUTH. Geneticly, I know the pony/ horse facts are not PURE TRUTH. I suspect that you would know more than I could even research in a timly manor. I would be interested to understand and learn, anything. I wont ride a horse unless I really have to. I would rather walk beside one. I have too much respect for them, I guess. I have always been that way and as a child watching black beauty or some other noble horse movie, just sort of set the thought in stone. I know my perception is ignorant at best, even blissful at times. Regardless PURE TRUTH must prevail. Now you got me thinking about horses, and now I remember almost everything I ever saw or read to an overwhelming value, from coats to behaviours to movies, media, drama, blah...mostly ends up sounding like most people have no clue when it comes to the true mind and spirit of the horse. I went horseback riding last weekend for the first time in 15 years. I'd forgotten how much I missed it. Years later, and Microsoft and other companies did do what I suggested above. Ironic that, not really it happens a lot. I say something and people catch up, eventually. 5-10 years max. LOL Much love to you all.